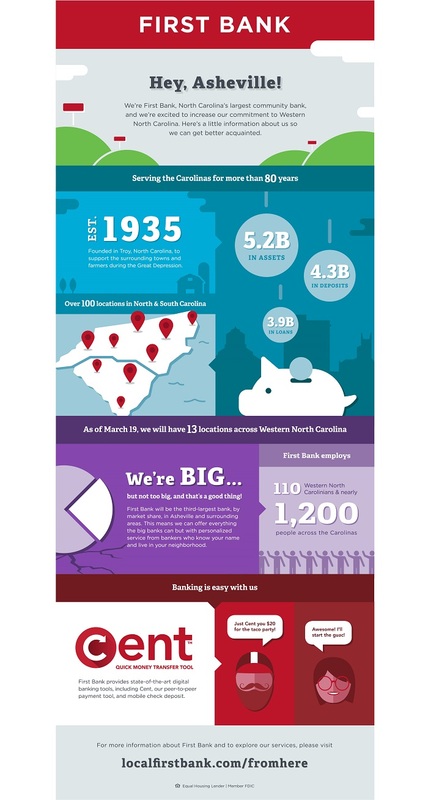 We couldn’t be more excited to welcome all our new customers from Asheville Savings Bank to the First Bank family. The below infographic is a handy way to get to know us a little bit better. Simply click on it to enlarge.